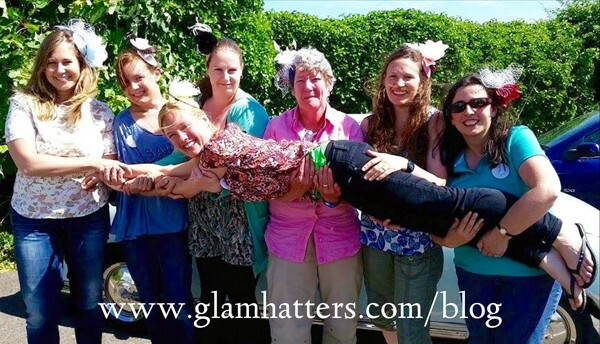 The Glam Hatter Girls have been travelling all over England running fascinator making hen parties this summer. This beach-side hen do location was super affordable with gorgeous ocean views. Penny organised a hen party for her friends in a caravan at Combe Haven Holiday Park. The girls could step out of their fab caravan accommodation and were two steps away from the beach. 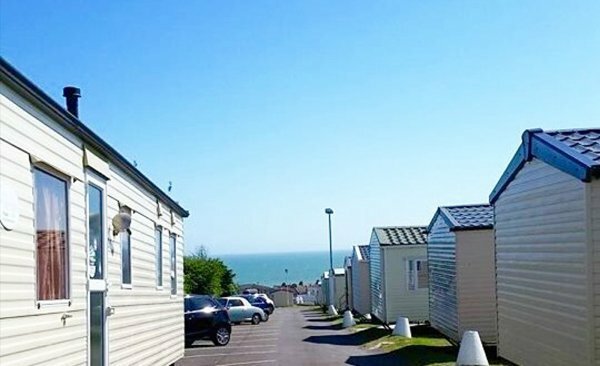 With Sussex being named the sunniest county in the UK, you’re almost guaranteed beautiful weather when staying at Combe Haven holiday park. Even if some clouds do appear, there’s so much to do at the park that you aren’t likely to notice. The Airspace indoor sports facility, indoor and outdoor swimming pools with Space Bowl flume and FunStar shows are super fun. When the sun is shining explore the park, visiting the nature reserve or do as Penny and her friends did and spend your time on the beautiful nearby beach. 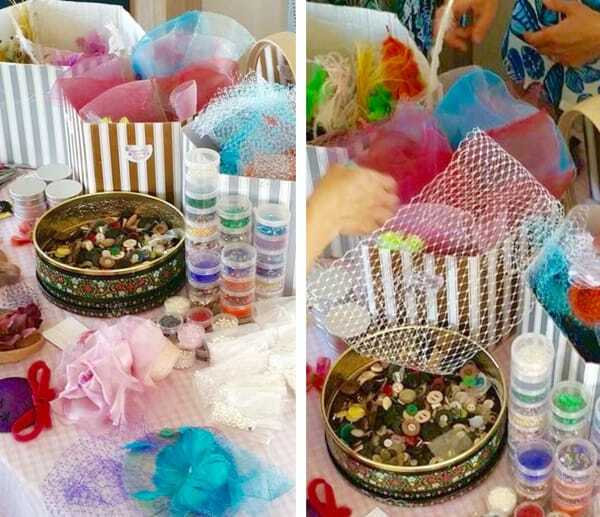 Penny and her friends had their fascinator making hen party workshop inside the caravan. Our Glam Hatter Girl set up all the materials on the caravan tables. 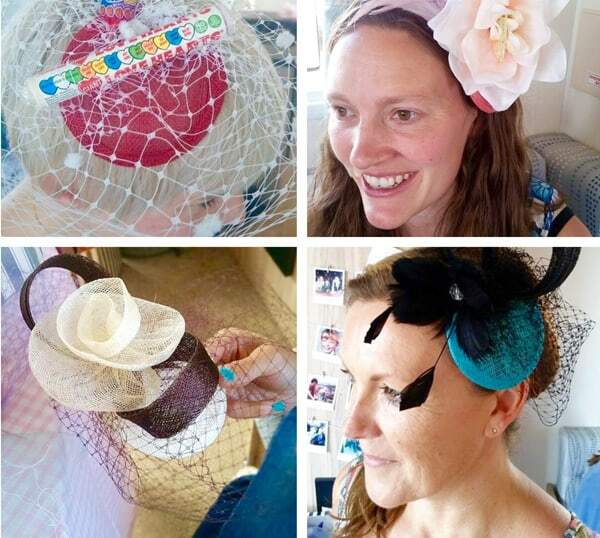 These lovely ladies made some fabulous fascinators using luxury feathers, sinamay strips, vintage veiling and gorgeous beading. 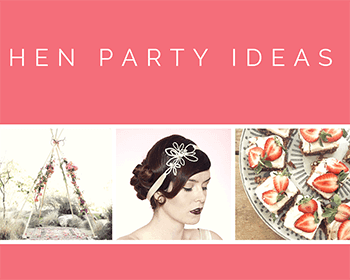 One of the hens went off piste opting for sweets to decorate her fascinator – adorable. 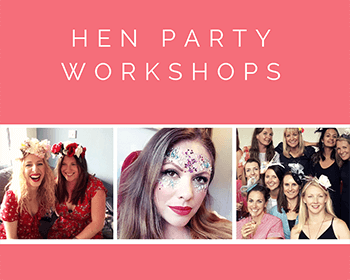 They all agreed it was a great hen do location and the perfect hen party activity and gave them all a chance to take a breath and get to know each other. I guess it was the calm before the storm as they were off to the beer festival afterwards! 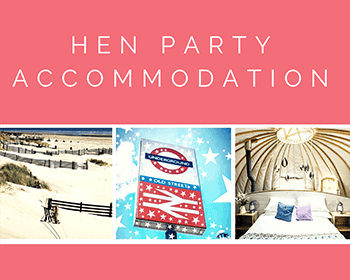 Combe Haven is a pretty cool hen do location. Take a swim in the indoor or outdoor swimming pools. Play ten pin bowling or take your chance roller blading! Check out the sports-drome and stay in shape with a water slide/flume whilst having heaps of giggles. Walk the nature reserve or relax on the beach! 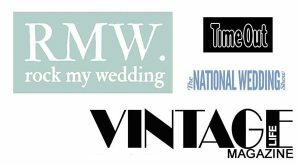 I hope this blog helps you to find your perfect hen do location. 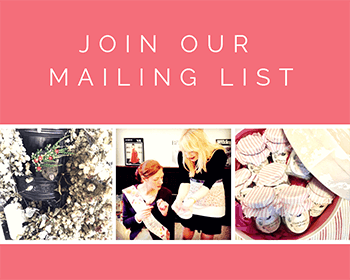 If you would like The Glam Hatters’ to host a workshop for your hen party we would be delighted to come to you or we can book you in to one of our lovely London venues. 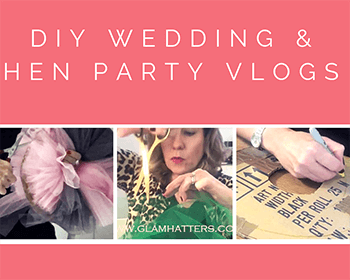 For more Glam Hatters’ Hen Party Workshops click here. For Combe Haven Holiday Park click here. beach-side hen party, classy hen party, crafty hen party, fascinator making in Chichester, fascinator making in Hastings, fascinator making in Sussex, fun things to do in Cardiff, fun things to do in Chichester, fun things to do in Hastings, fun things to do in Sussex, hen party idea Cardiff, hen party idea chichester, hen party idea in Hastings, hen party idea in Sussex, hen party idea London, stylish hen party, vintage hen party.